Dawson City, Yukon is a paradise for anyone interested in the Klondike Gold Rush. If you're driving up the highway or even getting a ride in from Credit: Image Commons Wikipediathe airport, the signs are everywhere. You'll pass by the cutoff to Bonanza Creek and the gold fields. You'll see huge piles of tailings. When you get to town, it's even better. The history lives and breathes here. There are beautifully restored gold rush buildings and others that have succumbed to time and the elements. It's interesting to remember that during the height of the gold rush, Dawson was larger that Seattle. I spend a lot of time in Dawson and I hope you'll let me be your virtual tour guide. These recommendations are primarily for summer travel when the weather is warm and it's daylight almost 24 hours a day. If you are wondering about the snow on the ground, I took many of these pictures in late April when spring was slowly exerting its charm. Don't worry. The snow does go away. That may not seem exciting, but all of the sidewalks are wooden. Every block offers another exciting glimpse into gold rush history. I particularly like the old homes with the wrap around porches. It's a style you won't find anywhere else in the north. Canada's oldest casino and gambling hall offers your standard games of chance along with evening performances by can-can girls and gold rush era entertainment. 3. Have a Sour-Toe Cocktail. Drop by the Downtown Hotel in the evening and experience the sour-tour cocktail experience. Here's how it works. A toe which has been pickled in salt is dropped into a glass. In case you are wondering, it is a real human toe. They've gone through a few over the years due to people swallowing them. Add a shot of booze. Yukon Jack is the most popular, but you can choose a non-alcoholic drink. Drink the drink. The toe must touch your lips. If you successfully complete the task, you'll get a numbered certificate. Make sure you take some pictures to email home. 4. Head Over to West Dawson. The George Black Ferry runs almost non-stop all summer long. It's free and you can go by foot or take your vehicle. People who live in West Dawson still have an incredible pioneer spirit. In the summer they head to town by the ferry or by foot. In the winter they cross by an ice road. They are several weeks during breakup and freeze where they are cut off from town. That means no school, no grocery store and no doctors. 5. Take a Trip on the Klondike Spirit. This paddlewheel style boat takes you down the Yukon River, where you'll learn more about the history of the area and maybe spot some wildlife on the shore. A dinner cruise is also available. To really appreciate the north, you have to experience the midnight sun. Make sure you take your camera and email the pictures to your friends and family. 7. Take a tour of the Goldfields. Miners still pan for gold in the Dawson area. Many of the claims are family run. Running a gold mining operation is a lot of work, but at the price of gold today it can be very lucrative. 8. Visit Roberts Services Cabin. This is the actual cabin where the most famous poet of the north lived and worked. In the summer you can stop by at scheduled times for readings of Services works. Tens of thousands of stampeders arrived in Dawson during the gold rush. They came with dreams of striking it rich. Unfortunately the majority of them left penniless. Some never left at all. A tour of the tombstones shows people from around the world, and it's sad how young most were when they died. There is even a separate Jewish cemetery. 10. Get a Birds Eye View of Dawson City. There are two places to get a great view of Dawson. The first is the Dome. You'll see a sign pointing to the Dome Road just outside of town. (Ask any Dawsonite for directions) After a steep climb you'll arrive at the Dome where you'll get a breathtaking 360 degree view of Dawson, the Yukon River and the goldfields. There's usually a party up there on the longest day of the year. The other place to get a great view of the city is from West Dawson. Take the ferry across the river and drive for about ten minutes. You'll see a pullout. This vantage point gives you a panoramic view of Dawson and the junction of the Yukon and Klondike Rivers. These are my top ten favorites, but there's lots more to do in Dawson City. Stop by the Visitor's Information Center on Front Street for more ideas. The View From the Dome at Midnight. 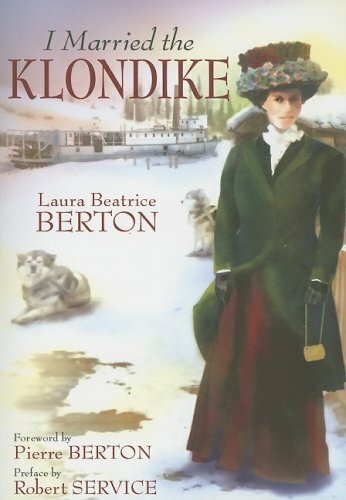 Robert Service was passionate about the Klondike and it's evident in his work. 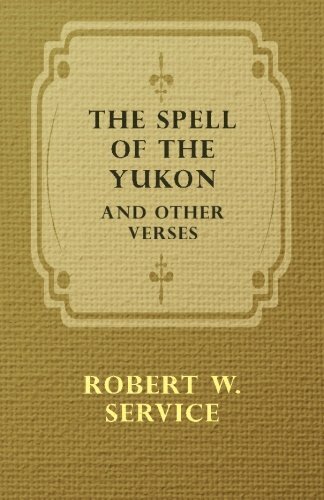 See the Yukon through his words. The amazing story of a young school teacher from Toronto who moves to Dawson City to work. It's a remarkable insight into life in Dawson following the gold rush. What a quirky place, and what an engaging piece! I'd go there, and while probably risking Hep C, I'd do the sour-toe cocktail! Seriously good article, well worth the front page, and I've thumbed it, & +1'd. When you and your lovely lady finally decide you must explore the Yukon and Alaska the Sour-toe cocktails are on me.